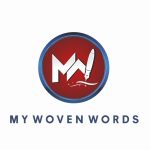 Hello guys, in the recipe corner of mywovenwords blog; we will be learning how to prepare a very popular soup among the people in western Nigeria and even all over the world. It is called “efo riro” (stirred vegetables). This soup can be eaten with various types of swallow and some include amala, eba, pounded yam, wheat, semovita etc. this soup is so interesting to prepare and eat because various types of fish and meat can be added. So let’s begin. Spinach leaves (popularly known as soko by the Yorubas). The above recipes are measured based on the amount of people you are preparing for. If it is just you, a bundle of vegetable which I guess is #50 will be okay but if it is for 2-4/5 people two bundles should be okay. You can also include any other type fish or meat. It depends on what you like. Cow meat can be used, fresh fish can be used, and prawns can be added. All these depend on the person cooking. So let’s start cooking. – Chop your vegetables and you can rinse with warm or blanch it to remove dirt after which you squeeze out the water from the vegetable and put it in a bowl. – Boil all your chicken and meat well and put aside to cool. – Wash all the dried and smoked fish with warm water and shred them well. – Blend the pepper, tomatoes and half of the onion together. – Wash the ponmo well and rinse the prawns and locust beans well. – After the above steps, rinse your pot and pot on the fire to dry. – When it has dried, pour 2-4 cooking spoonful of palm oil in the pot and leave it to be a little bit hot, then put the diced onions and stir with the palm oil and leave it to fry until the onions become translucent in the palm oil. – After the onion has fried a bit, pour in the blended pepper and add your seasoning cube and a sprinkle or half a table spoon of salt. The salt should not be too much neither should it be too small because the vegetable will swallow the pepper so if the salt is too small, the efo might be tasteless and if it is too much the efo might be too salty. In this case what I advise that you do is that, be applying the salt little by little and be tasting it until you feel it is okay. HAVE YOU READ: A RECIPE FOR CRISPY FRIED CHICKEN - BY DOSUNMU LYDIA O. – Add the washed locust beans to the pepper and stir together. Leave it to fry well but stir constantly so that it will not burn. When it fries well, add the shredded fish, the boiled meat, rinsed ponmo and the assorted fish or meat you got and like to the fried stew. Mix together and leave for 30 seconds for it to fry a bit. – After 30 seconds, stir the mixture on the fire and add the vegetable morsel by morsel after which you stir everything together. Stir very well until the fried stew covers the vegetable. – When it has covered it well and you see to make sure no stew remains unmixed with the vegetable, cover the pot and leave it to simmer. – After 3 – 4 minutes, check and taste the vegetable to make sure it is soft and easy to chew. Also taste to check to make sure the salt is enough, if not you can add little more and stir. If it has simmered well, you can take it off the fire and your delicious “ efo riro” is ready.